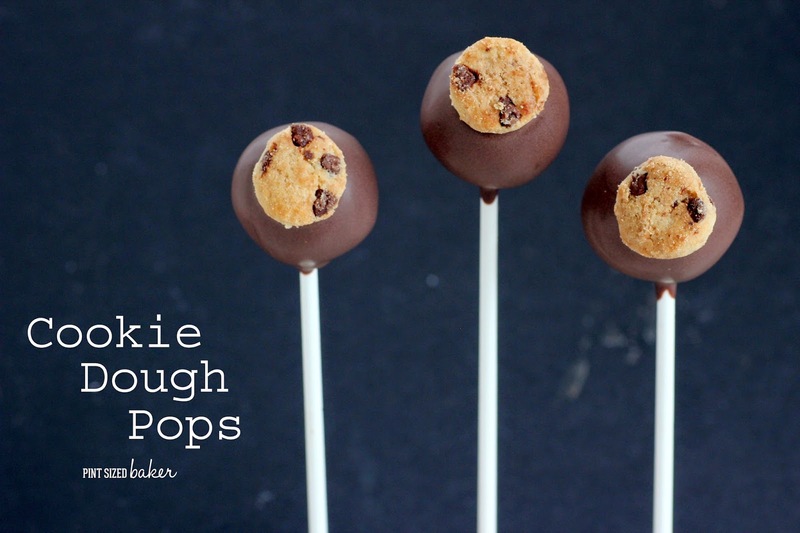 Everyone loves to eat raw cookie dough, now you can enjoy your Edible Cookie Dough Pops dipped in chocolate and topped with a mini chocolate chip cookie. I’m getting ready for a big bake sale this weekend for Cookies for Kids Cancer with my daughter’s school. To keep things easy, we decided to go with just chocolate chip cookies. Any and all chocolate chip cookies. So that means we have chocolate chocolate chips, white chocolate chip, peanut butter chocolate chip, gluten free, and even a few brownie/cookie cups. My contribution was 60 fruity, cake mix cookies with white chocolate chips and these Chocolate Chip Cookie Dough Pops! I hope that everyone loves them! 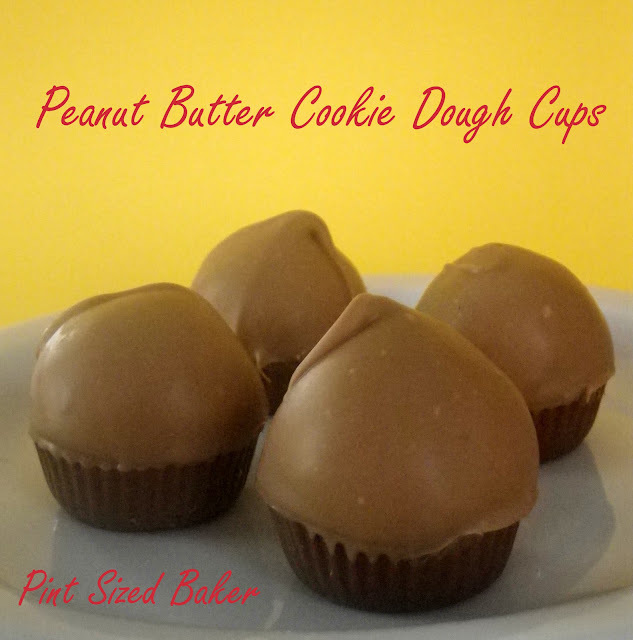 If you’re a cookie dough fan and want to make something yummy for your next event, give these a try. 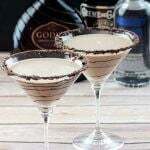 If cake pops aren’t your thing, these should be easy. As long as your butter isn’t on the verge of melting, you should not have a consistency problem. Most egg-free cookie dough recipes call for milk, but I’ve left that out. 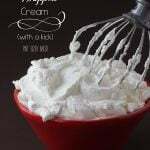 You don’t want the extra liquid in them and expect to roll them cleanly. Trust me on this one. 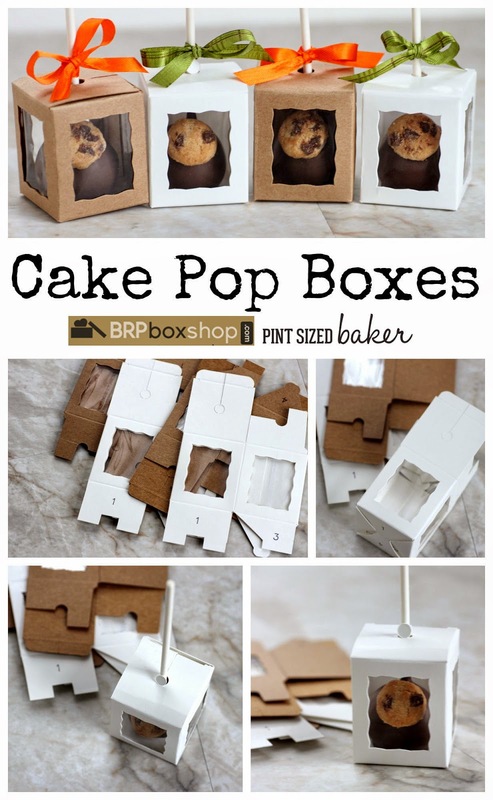 I also want to let everyone know about these wonderful cake pop boxes from BRP Box Shop. BRP sent me these to test and I love them! They are perfect for gift giving, favors, and bake sales.Check out all of the boxes that BRP Box Shop sells on their site. I love their carrying boxes as well. They are awesome! 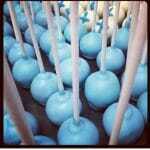 Don’t know how to make Cake Pops? I’ve got you covered! 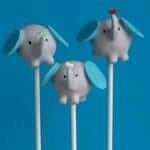 Check out my videos along with my tips on my Cake Pop Tutorials Page. 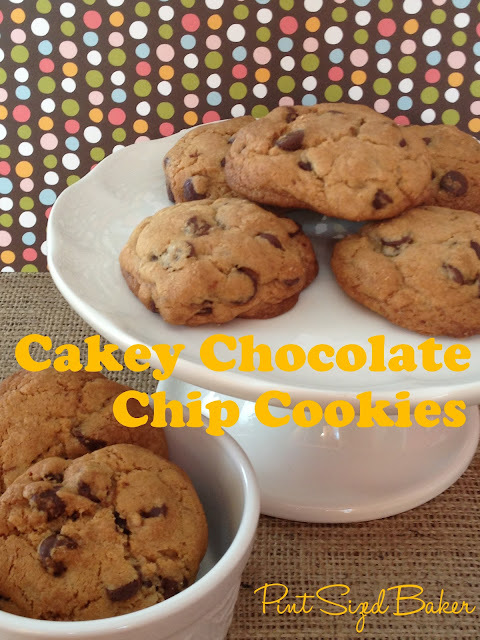 Mini Chocolate Chip Cookies , Mini Chips Ahoy! Mix the butter and brown sugar together until combined. Add in the vanilla and the flour. Stir in the mini chocolate chips. Use a 1″ cookie scoop to measure out the dough balls. 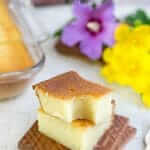 Hand roll until smooth then refrigerate. 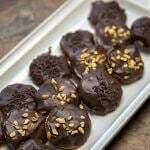 Melt the chocolate candy according the directions and stir until completely melted and smooth. 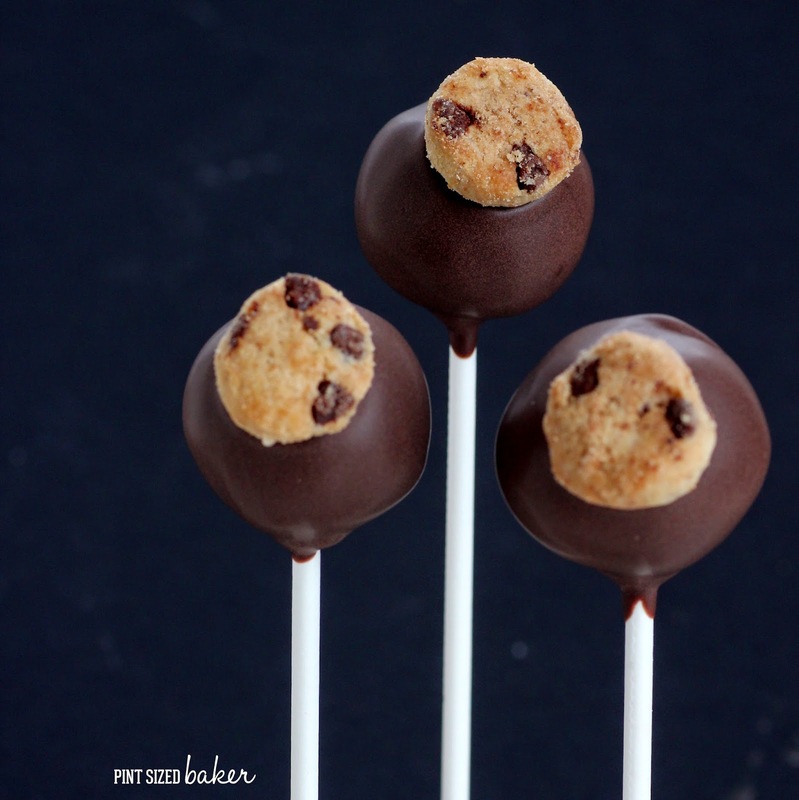 Dip a lollipop stick into the chocolate and then insert it into the dough ball. 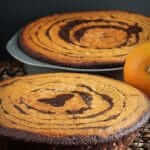 Once all the sticks are added, the dough should be at room temperature, but not soft. Dip the pops into the chocolate completely coating the dough. 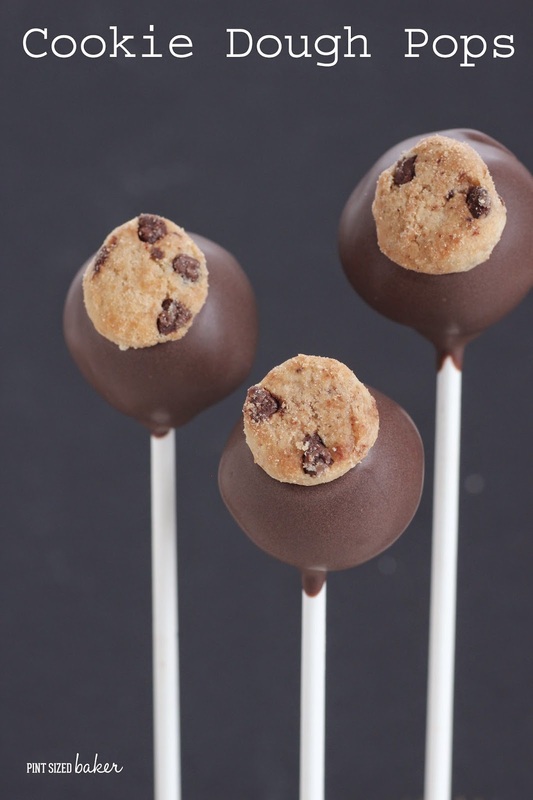 Attach a mini chocolate chip cookie to decorate then stand up to dry or place pop down, candy apple style to dry. 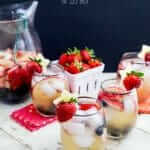 Enjoy with a glass of milk. 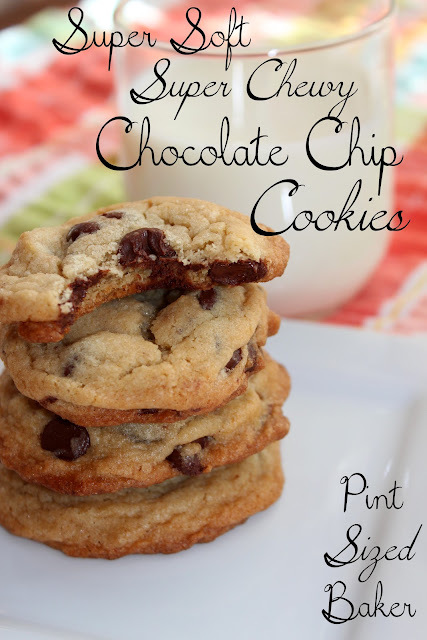 For more fun cookie recipes, check these out.